Only ten days into February and what a fun time it has already been! Getting back into the swing of event hopping I was invited to some amazing local beauty events, including Whole Foods Market's #makeupbreakup event in Campbell. Focusing on "breaking-up" with conventional beauty products that can have unwanted chemicals, I totally loved the bevy of fabulous natural alternatives Whole Food's introduced me to at their #makeupbreakup party! My favorite "unconventional" product showcased was Suja Juice. Juice? A beauty product? YES! Alongside their skin care items and make-up brands Whole Foods also showcased healthy food alternatives, teaching that what you eat and drink can really make an impact on beauty health. Recently interested in exploring the world of cold-pressed juice, I was taken back at how delish Suja juices tasted and at the detoxifying juice programs they offer via Whole Foods Market. I am officially addicted to their Green Supreme. Can I get a YUM?! Whole Foods will be having an amazing beauty sale from February 11th to the 15th, offering 25% off all makeup, nail color and lip balm so make sure to stop by and pamper yourself. Speaking of pampering, Whole Foods will also be having an amazing Valentine's Day promo, offering a dozen trade roses for $40... pink would be nice... hint hint, right ladies!? With Valentine's Day in the air I wore this pink look to the #makeuptobreak event and I might have to repeat it on February 14th. I recently snagged these pastel pant pretties at Bella Rosa Boutique in Los Gatos and was so excited when they paired perfectly with my powder pink strappy heels. Subtle and sweet, light pink hues are great substitute for the traditional red on Valentine's Day. 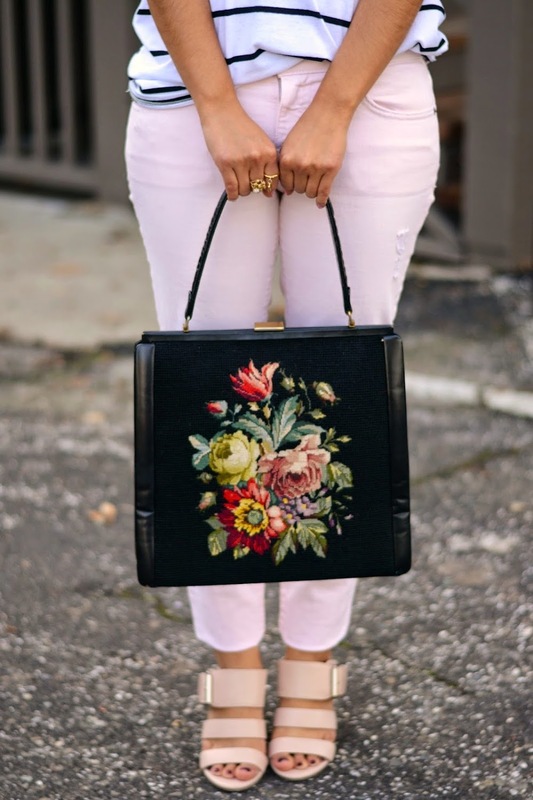 Consider pairing a pop of pink heel with some boyfriend jeans for a casual date night or a statement pink dress with all black accessories for a romantic night out on the town. Ooh la la!